Affordable with an authentic look and appeal! Quality Cultured Stone can completely renew and revitalize an existing property or give a new build a real sense of character and prestige. Whether you are covering exteriors with veneers, building walls, fireplaces, and using for interiors, Cultured Stone is a cost-effective, application-friendly choice for domestic, commercial and landscaping projects. We can source, advise and discuss other Cultured Stone options too! For a luxurious, well-presented and stylish property, Cultured Stone is an ideal product when labor, budgets and architecture are taken into consideration. Want real building design solutions? 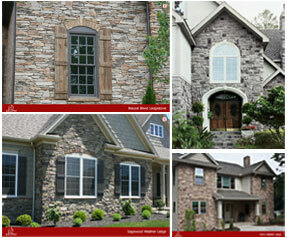 Cultured Stone is the real deal!